What is Methadone and How Does it Differ from Other Drugs? How is Methadone Addiction Cured in the World? Methadone is a synthetic opiate substitute. It was introduced under state programs in different countries in order to reduce the number of heroin addicts. Such programs were aimed at reduction of heroin dose thus hoping to cure heroin addiction. Unfortunately it all went wrong. Methadone is absorbed and accumulated in all tissues of a drug addict, in fats, muscles, bones and so on resulting in strong addiction. Withdrawal pains from methadone may last up to 2 months. Methadone causes myopathy (myocyte inflammation), cardiomyopathy (heart muscles inflammation), anaemia, bone marrow disorders. In Russia methadone is not used within the state program, and that is why in Russia methadone is boiled with addition of intensifying components and injected into veins in comparison to the Western countries where methadone is prepared as syrup and drunk. As soon as methadone gets into vein it dies in a moment. A powerful vein sclerosis occurs, and it cannot be recovered. 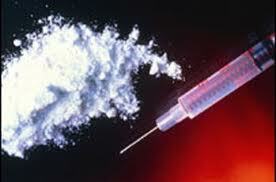 Due to such fact drug addicts have to shoot up into big inguinal veins, neck, axillary spaces and muscles. Abscess (deep skin infections) and sepsis (bacterial blood infection) are usually developed in such persons. Considering the fact that methadone is a synthetic opiate drug, 19 years ago Doctor Hiller developed the effective methadone addiction treatment. The treatment is schematically similar to heroin and other opiate addiction treatment, but the additional preparations mobilizing and expelling methadone from tissues are administered. 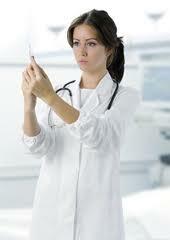 For detailed description of methadone addiction treatment see the page regrding methadone treatment. Treatment of methadone addict lasts 7-9 hours and the period of stationary department staying is 3 days. 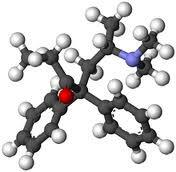 Methadone was synthesized as artificial drug in 1937 in Germany. It was used as heroin substitute during the II World War. It had calming and analgesic (anesthetic) properties identical to heroin. By the action methadone appeared to be much stronger but did not give a sense of euphoria (kaif). Action of methadone lasts from 72 to 96 hours, it is moved out from the body very slowly, absorbed and accumulated in different tissues. Considering the last fact, this drug causes serious consequences, such as muscles inflammation (myopathy), muscular tissue cells destruction, obstipation, respiratory and cardiac disorders. In 100% cases methadone overdose results in death, meanwhile upon heroin overdose it is possible to save a person. Methadone addiction develops quickly, withdrawal pains can last up to 6 weeks (8-12 days for heroin addiction). Methadone was synthesized so that it was possible to take it as pills or syrup, but in Russia it is used in a liquid form only for convenience of intravenous injection. The injected vein dies off in a moment. Methadone addiction results in no availability of veins, and people have to shoot up into central veins, groin and intramuscularly. Eventually, they suffer from serious blood circulation disorders and often become fatal infection carriers. Unfortunately, at present nobody in the world carries out methadone addiction treatment correctly. Even the former partners of Doctor Jacob Hiller do not cure such addiction! Many drug abuse clinics just refuse to accept such patients, and some clinics that agree to undertake methadone addiction treatment, recommend preliminarily to switch over to heroin for more than one month, after that they start heroin addiction treatment. The existing methods often include admittance to intensive care department for 2-3 months during which neuroleptic, anesthetic and hypnotic medicines are administered. Such “treatment” has minimal success and according to statistics over 95% quit the methadone addiction treatment because of various sufferings even at the initial stage. Methadone is the heroin agonist – antagonist. It means that on the one hand it can remove withdrawal pains from heroin addiction, and on the other part it has properties similar to those of heroin. For correct methadone addiction treatment it is necessary to take into account the fact that methadone itself does not cause euphoria (kaif) that is why most addicts take it with cocaine. Thus, most drug addicts taking methadone in Russia have double addiction: to cocaine and methadone. Methadone addiction treatment cannot be successful until the following factors are taken into account: as it was mentioned above the vast majority takes methadone + cocaine, and most of them drink alcoholic drinks. Drinking alcohol is explained by the fact that it helps a drug addict to ease sufferings from withdrawal pains if there is no enough methadone. Correct methadone addiction treatment should be a complex treatment. It is necessary to administer preparations intended for cocaine addiction and alcoholism treatment as well. Having analyzed the biochemical imbalance of patients taking methadone, cocaine and alcohol at the same time, Doctor Hiller developed the method of all dependencies simultaneous treatment. It is obvious that the treatment cannot be effective if it represents the methadone addiction treatment only. Methadone addiction treatment developed by Doctor Hiller is carried out under intensive care unit with general anesthesia. The treatment lasts for 6-8 hours. Patients may go home within 2 days, and during 4 months they are provided with medicines allowing them to return to active and social life. In addition patients with methadone addiction are provided with psychotherapeutic aid in the Clinic for the same 4 months. 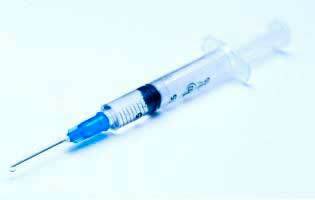 Treatment of the disease is similar to heroin addiction treatment. So, if you want to get more information on opiate drug addiction treatment method, click here. We effectively treat drug addiction (heroin and methadone addiction) anonymously, day and night, inexpensively.